Blurb: When a world renowned scientist is found brutally murdered in a Swiss research facility, a Harvard professor, Robert Langdon, is summoned to identify the mysterious symbol seared onto the dead man s chest. His baffling conclusion: it is the work of the Illuminati, a secret brotherhood presumed extinct for nearly four hundred years - reborn to continue their bitter vendetta against their sworn enemy, the Catholic church. 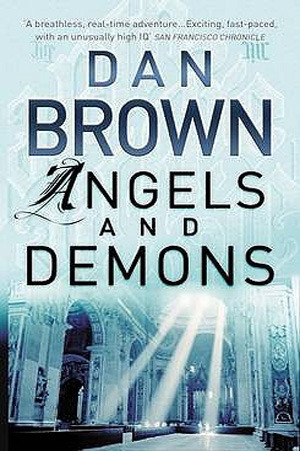 Review: Lately I’ve been trying to read more of books that I’ve heard lots about but never read, so Angels and Demons became part of that list. Despite the insane size of this book, I was absolutely determined to finish it and then to go on to read the rest of the books in the series but I didn’t really take into account how long it might take me to actually read the book. The book wasn’t boring or difficult to read, in fact I was completely intrigued by it from page one, but the size of it intimidated me just a bit. I’ve read bigger books, ones that have much more difficult vocabulary and plot, but this one for whatever read, seemed impossible to get through. 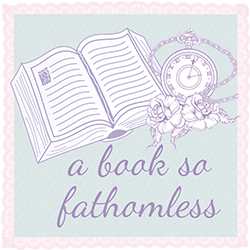 Maybe the fact that it was an adult novel also slowed down my usual reading speed- I don’t know for sure. The most of plot and writing was very easy to read and fast-paced, but at times it was very informational- there was quite a bit about science that didn’t interest me personally, and of course there was quite a bit about religion too most of which I didn’t particular understand. A lot of this was overshadowed by the action- I’m a bit of a history nut and I have an obsession with Europe in general so I liked reading the parts that included those things. While my knowledge of art is also a bit limited, I was really interested by all the art and architecture included and the history behind it. Character-wise, I had a love/hate relationship with the two main characters- Robert and Vittoria, I couldn’t decide how I felt about them. Sometimes I respected them, other times they really got on my nerves. It was definitely one of those where I wasn’t really sure how I felt about any of the characters for sure- every time I thought I had decided, they’d do something to throw me off. Maybe I’m not an overly observant person, but I did not seeing that twist coming at all. It honestly didn’t even cross my mind until it was finally revealed- but I don’t think there’s much fun in guessing who it’ll be before the author tells you. Overall, I did really enjoy Angels and Demons and at sometime in the relatively near future I will be picking up the next book. Angels and Demons provides many pages of good reading fun, with a few incredible devious twists thrown in. You won't want it to end.